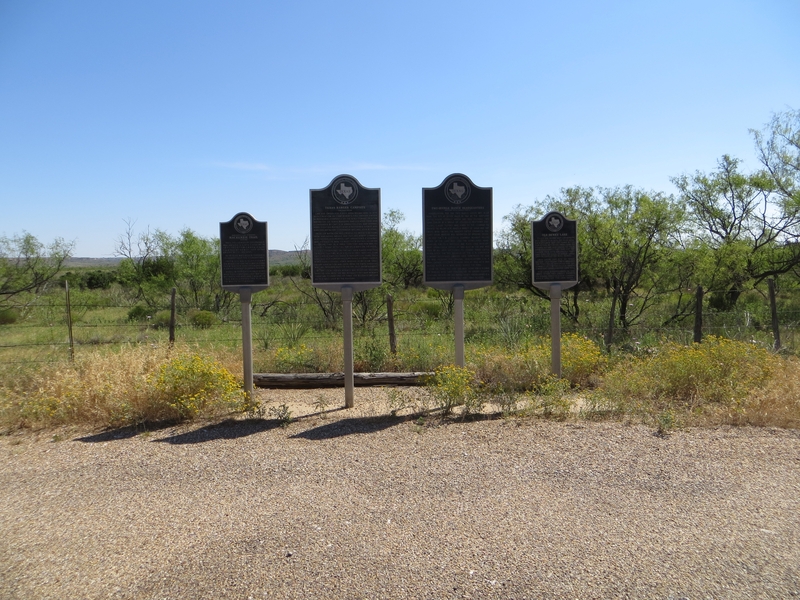 Photo: Four historical markers at the intersection of highway US-82 and Farm to Market road 2591. Caption: Four historical markers at the intersection of highway US-82 and Farm to Market road 2591. Submitted: July 7, 2017, by Bill Kirchner of Tucson, Arizona.